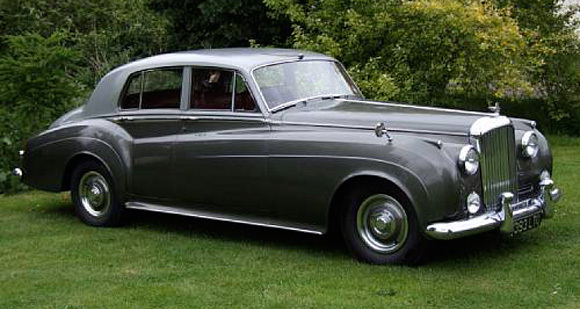 A right-hand drive Bentley S2 that previously belonged to Sean Connery is now for sale at the June 21 auction Rolls-Royce, Bentley and Select Pre-War Motor Cars and Automobilia. The accompanying original old-style logbook records the fact that the Scottish actor was its third owner (from July 1974) and is signed by him. '393 LTO's previous owner (a family friend of the vendor) bought the car from Mr Connery in 1979 as he brought it to Michael Walker Garages in Surrey. Finished in two-tone Shell Grey/Tudor Grey with contrasting red leather interior, the car is offered with the aforementioned original logbook, owner's handbook, complete tool kit including inspection lamp, current road fund licence/MoT and Swansea V5 registration document.